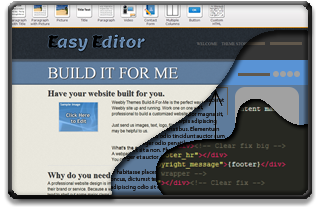 Have your website built for you. Above: An illustration of the steps taken to build this website, from Concept and Planning to Strategy and Deployment. is the perfect way to get your Website site started. We design your site from the ground up! Work one-on-one with our web advisers to build a customized website that meets your needs. Why do you need a custom built website? A professional website design is important for any type of business looking to use the Internet to display their brand or service. Because a website is a direct reflection of your company, many business owners tend to shell out some major clams when it comes to their business web design. 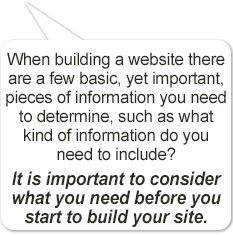 However, your website does not have to be flash-based and overloaded with information. The most effective website will simply address the necessary information that customers should be interested in learning about, links to contact information, and correlating images to go along with the services and products you offer. What do you need for your website? Let's face it, there are a million and one things we 'could' do when we build a website for you, but what do you need for your website? Here are some of the Features we normally include. We try to keep it simple, but we also understand not every website is the same. We've put together a couple of straight forward examples to help you decide what is right for you, but keep in mind there certainly is some flexibility here as well. We'll 'get together' to get an idea of what you need, then simply send us your images, text, a logo, and any other information that may be helpful and we'll do the rest.